Stop in at the Millerton Diner near the Connecticut border for a quick chow. Good to see the proud owner keeps it in great shape. Over in Oneonta, NY we can get a bite at the Neptune Diner any time of the day. A family restaurant that serves cocktails? I'll have a double vodka martini with my hash browns, please. Hic. The stainless steel exterior still beckons the hungry traveler. 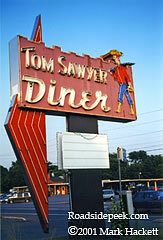 The letters which adorn the Americana Diner were taken from the closed Great American supermarket in town. Many thanks to Mike Engle for info. 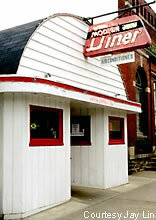 Always ready for lunchtime patrons is the Modern Diner in Wellsville, NY. Modern, perhaps 75 years ago, but times have progressed. 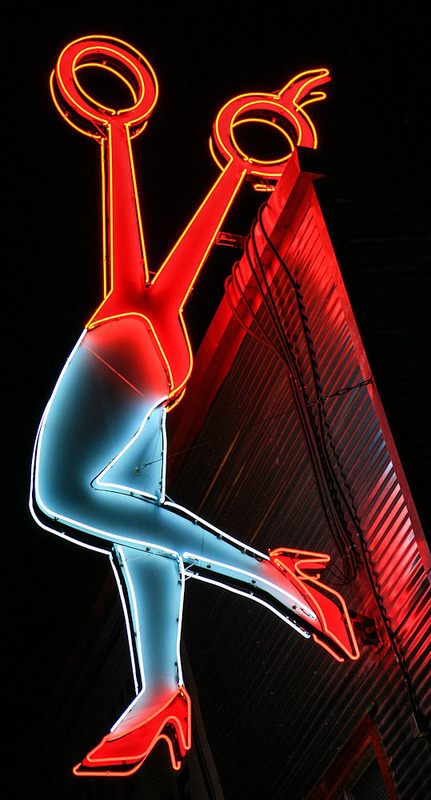 It has probably the oldest working neon sign I have ever come across. Check out this close-up of the sign out front. 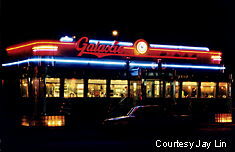 In Montreal, Quebec is the Galaxie Diner. The only true stand-alone stainless steel diner in Canada, the Galaxie broke ground in 1952 and has been serving happy eaters since. 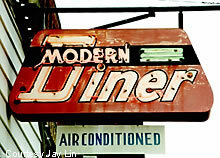 This diner and its neon is still in pristine shape.